On Wednesday, March 20 eLCC attended Regis University Learning Technology Fair and here’s the events we shared! These are open to all eLCC member instituions, faculty, instructors, staff and students. Call For Proposals Ending Soon! 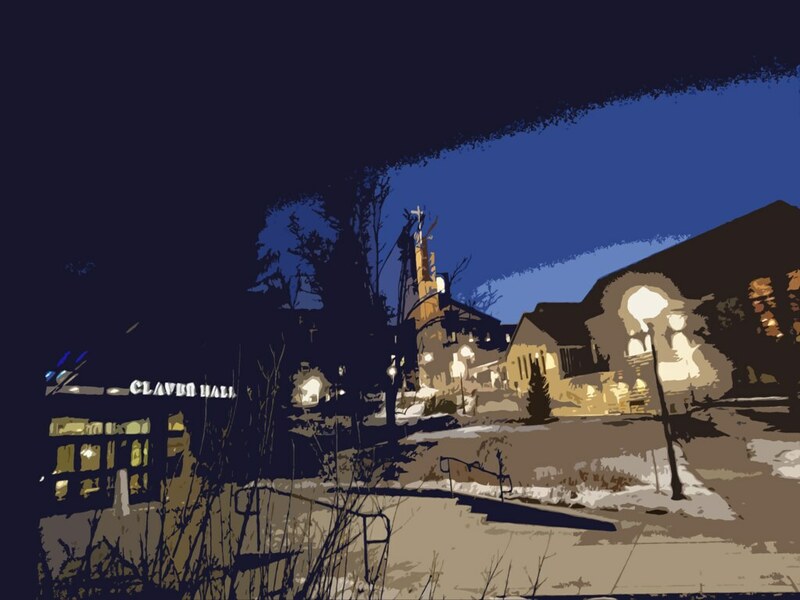 All eLCCers are invited to the 9th Annual Regis University Teaching and Learning with Technology Fair, being held March 13th from 10-2 in the Mountain View Room of Peter Claver Hall. For those having attended in past years, this is the same place as before. The Fair highlights the variety of learning technologies being used to enhance teaching and learning in Regis campus-based and online classrooms. All Fair presenters are Regis University faculty and staff who freely share their classroom technology solutions. Many of those presenting are winners of Teaching and Learning with Technology Micro-grants. The TLTF format is similar to a vendor fair, with display areas set up for each presenter. Presenters demonstrate their learning technology while answering questions on its use in the classroom. Last year’s event featured faculty and staff from all five colleges as well as the Library, ITS, and eLearning Consortium of Colorado! Check out the archive of past fairs, including video interviews with several eLCC attendees, by heading over to the LT Fair website. Plenty of pizza for all and lots of vendor handouts and freebies. Thank you to Regis University!!!!! We’d like to thank all the Regis University people for hosting us last Friday for our monthly eLCC meeting! We started with a presentation from Bob Spagnola and Tom Yagos on how they are holding synchronous debates using Zoom with their business students in online classes. Which resulted us in discussing on having a Zoom online conference. Here’s a little more on our visit from Kathy Keairns (University of Denver)’s blog. We then went to the College of Business and Economics’ Innovation Center with Ken Sagendorf, Professor and Director of the Innovation Center. for their 9th Annual Regis University Teaching and Learning Technology Fair. Regis University looks forward to hosting the next eLCC monthly meeting on February 22nd. The long range forecast indicates warm, sunny weather so we hope you can attend. Where: Regis University, Mod 185 (also known as Classroom A-185 and Annex A2), located on the northwest end of Lot 5. Best bet: Park in Lot 6 (always available parking) and take the free campus shuttle to Mod 185. For walkers: Park in Lot 6 (always available parking), walk to the athletic field chain link fence and head northwest through Lot 7 to Lot 5. Mod 185 is on the north side of Lot 5. For gamblers: Take your chances parking in Lot 7 (Lot 5 is for residential students only). Mod 185 is a short walk up the hill on the northwest side of Lot 5. Lunch: Box lunches provided if you RSVP to jgetchell001@regis.edu by February 19th. We’ll do our best to accommodate special dietary requests, if specified. Professional development: Two activities are planned. First, a presentation on the use of Zoom for debates. We’ll then take a short walk to Clarke Hall for a tour of the Anderson College of Business Innovation Center.